AceShowbiz -Four years after his debut, Khalid has finally earned his first No. 1 album on Billboard 200. 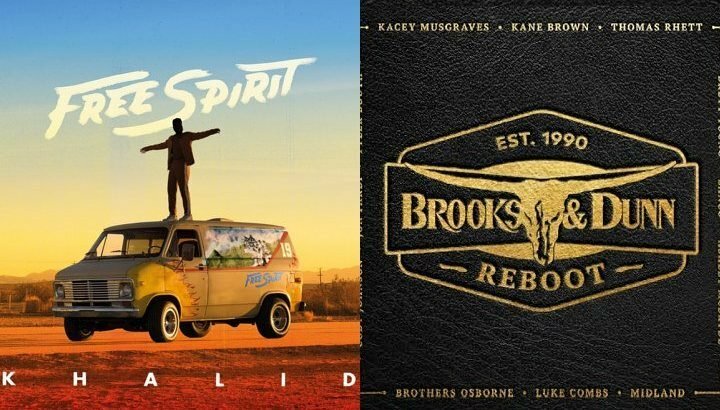 His third album, “Free Spirit”, arrives atop the weekly chart after racking up 202,000 equivalent album units in the week ending April 11, according to Nielsen Music. Of that sum, 85,000 were in traditional album sales. In addition to marking his first chart-topping album, “Free Spirit” notches the fourth-biggest week for an album this year following Ariana Grande‘s “Thank U, Next” (360,000 units), Billie Eilish‘s “When We All Fall Asleep, Where Do We Go?” (313,000 units) and Backstreet Boys‘ “DNA” (234,000 units). Meanwhile, his album is the largest for a set by a male solo artist and the first R&B album to reach No. 1 in nearly a year since The Weeknd‘s “My Dear Melancholy” EP bowed atop the tally in April 2018. Giving up its No. 1 spot for “Free Spirit” is Billie’s “When We All Fall Asleep, Where Do We Go?”, which slips to No. 2 with 118,000 units in its second week. Nipsey Hussle‘s “Victory Laps” also moves down one spot to No. 3 with 63,000 units as Ariana’s “Thank U, Next” moves down to No. 4 with 47,000 units. Meanwhile, Juice WRLD‘s “Death Race for Love” is a non-mover at No. 5 with 38,000 units. Another new entry on this week’s chart is Sara Bareilles‘ “Amidst the Chaos” that launches at No. 6 with 35,000 units. It marks her sixth top ten effort. Following closely behind her is Post Malone‘s “Beerbongs & Bentleys” which holds its No. 7 spot with 31,000 units. Brooks & Dunn, on the other hand, breaks out of a tie with Rascal Flatts for the most top ten albums on Billboard 200 among country groups after their “Reboot” bows at No. 8 with 31,000 units. It marks the duo’s tenth top ten album. Rounding out this week’s chart are A Boogie Wit Da Hoodie‘s “Hoodie SZN” and Drake‘s “Scorpion”, both of which are stationary at No. 9 and No. 10 respectively.